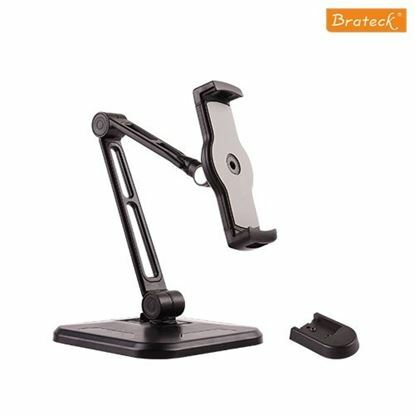 BRATECK Phone/Tablet desktop stand. Ideal for 4.7'~12.9' devices. BRATECK Phone/Tablet desktop stand. Ideal for 4.7''~12.9'' devices. Max load: 1Kgs Rotate, tilt and swivel. Solid base with soft protective cushions. Colour: Black. BRATECK Universal iPad/Galaxy, anti-theft table stand. BRATECK Universal iPad/Galaxy, anti-theft table stand. VESA: 75x75, Rotation: 0~+90. Fits iPad 1/2/3/4/Air, most 9.7"~ 10.1" Galaxy and other tablets. BRATECK Universal iPad Anti-Theft Steel Wall Mount Enclosure. 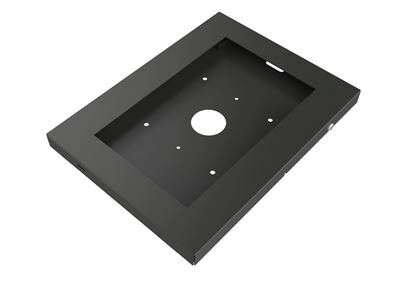 Fits BRATECK Universal iPad Anti-Theft Steel Wall Mount Enclosure. Fits iPad, iPad Air, iPad Pro. VESA: 75x75. BRATECK Universal iPad 2/3/4/Air. Anti-theft Floor Stand. BRATECK Universal iPad 2/3/4/Air. Anti-theft Floor Stand. Rotation 90 for portrait or landscape orientation. 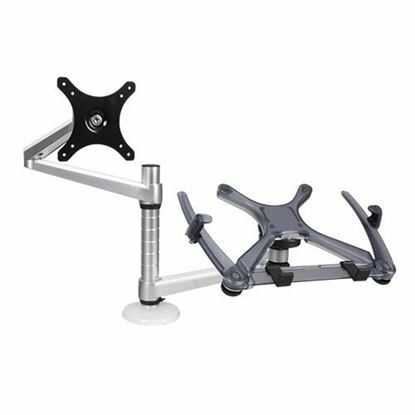 BRATECK Universal Adjustable Laptop and Monitor Holder desk stand. BRATECK Universal Adjustable Laptop and Monitor Holder desk stand. Double Aluminium Swivel arms. Fits iPad 1/2/3/4/Air, most 9.7". Rotation: 360. BRATECK Universal iPad/Galaxy, anti-theft floor stand. 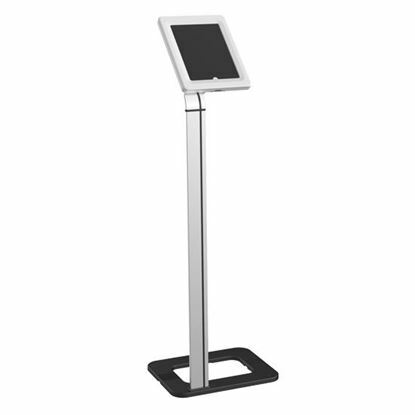 BRATECK Universal iPad/Galaxy, anti-theft floor stand. VESA: 75x75, Rotation: 0~+90. Fits iPad 1/2/3/4/Air, most 9.7"~ 10.1" Galaxy and other tablets. BRATECK Anti-Theft tablet enclosure desgined for Samsung Galaxy Note BRATECK Anti-Theft tablet enclosure desgined for Samsung Galaxy Note 10.1, Tab 1/2/3. Enclosure: 286 x 216 x 20mm. Colour: Black.